I like reading your articles, this page was included in my bookmarks in firefox. Every Baby Step is a Blessing! 🙂 Thank you, Jesus! RedNeck Cure for Mouth Ulcers: drink 1 part Maalox, 1 part Benadryl. maybe a 1/4 a teaspoon each to get started. Of course, ask his doctor if that’s ok to try. I don’t want it interfering with anything they’re doing. 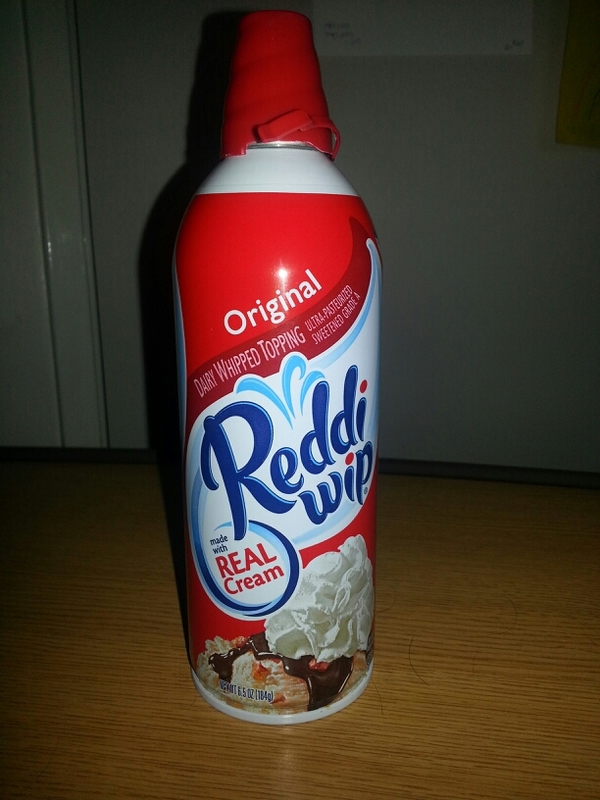 Just like his Momma with the Redi-Whip… surprised he’s not drinking coffee with RediWhip yet!!!! Love you Jake… keep eating sweet boy! Who hasn’t stood in the kitchen and consumed rediwhip directly from the can into the mouth! I like the way he thinks!! Go JAKE! Maybe he can try GoGurt from a tube next! Just put one foot in front of the other and take it one day at a time, Mardon. You are amazing. You have always been amazing. And you will continue to be amazing! Does it have a taste, Erin?? Will it thicken it up much? He needs weight gain! At the moment he is gun shy of so many of his favorites as we have tainted them with trying to mix meds into them. Choco milk is a thing of the past… before this, he would drink it all day long if I let him. A hard lesson learned for us. DO NOT mix things in their favorite drinks… trust is lost and he will no longer drink them when we REALLY need him to drink. There are different kinds – chocolate, vanilla, strawberry. Also, what about peanut butter? That has good fat & protein. Maybe mix that into the Reddi Whip, so it’s not as thick as straight up peanut butter. Or peanut butter mixed into ice cream or a milkshake? Maybe whole milk, ice cream (vanilla or chocolate), peanut butter, a banana, and chocolate or vanilla protein powder into a milkshake. That would probably be yummy! And fattening, but also with some protein & vitamins. Poor sweet baby! And you ARE his protector!! You are doing an AMAZING job!! I am so happy that he is feeling a little better & eating. Maybe ice cream next? Did the doctors say there is anything they can do about the mouth ulcers? Dave’s uncle, who is an oral surgeon, gave me some “magic mouthwash” he concocted because I got some of those sores in my mouth right before our wedding. It helped them clear up fast. Not sure what it was, but maybe there is something that can help Jake. Will be praying the sores heal soon, he continues to improve eating, and that y’all can go home for a while! PTL he is eating healthy or not eating is eating. If he wants ready whip I’ll go buy all types of ready whip for him! Stay strong my friend! Sounds like the perfect meal to me! Thinking and praying for you all constantly. Love you! Sounds to me like he just needed to let it all out. Good to see that after all he’s been through he still has so much fight in him. I take that as a good sign! You are wonderful parents, and God is leading you through this storm. We’ll take blessings in the form of Redi Whip!! Praying, praying, praying!!! !